If you see the History of Slot Machines, you will see that these one-armed bandits have gone a long way from one payline and only three reels spun by pulling the lever, to online video slots containing different Bonus Features and mini-games inside them. 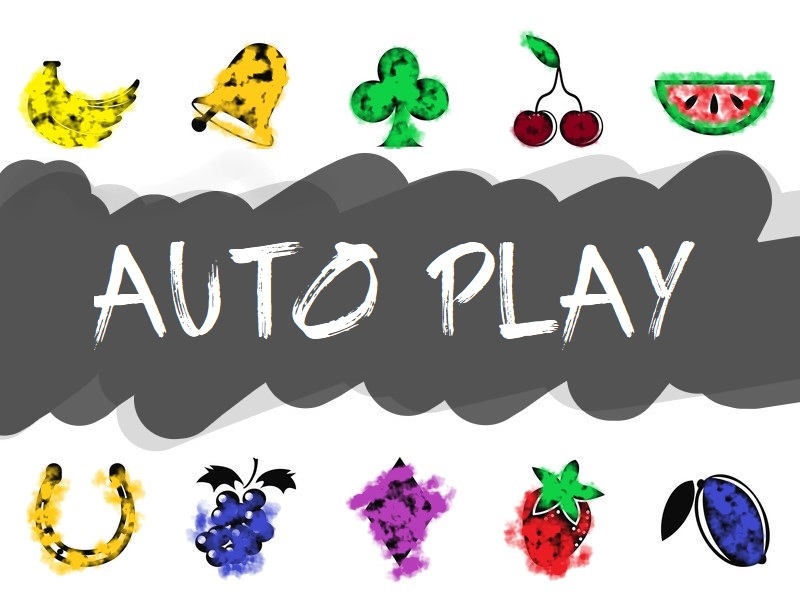 One of the features that we are going to present in this article is the Auto Play feature, which is present in almost every single online slot nowadays. This is one of the better features of the online slot games that can save you a lot of time and allow you to focus your attention on something else while the game works your way to the top. It doesn’t matter whether you want to play high slots, 3d slots, slots with the progressive jackpot in them or whatever, you name the type of slots, you can always use the Auto Play feature to enhance your slot gameplay. Let’s start with explaining the Auto Play feature. The name gives away almost all of the information for this feature, but let’s explain it anyways. The Auto Play allows you to spin the reels of the online slot game without interruption, for a predetermined number of times, without you having to push the Spin button for every spin. A lot of new online slot players are constantly asking the same question – how does the Auto Play feature works? 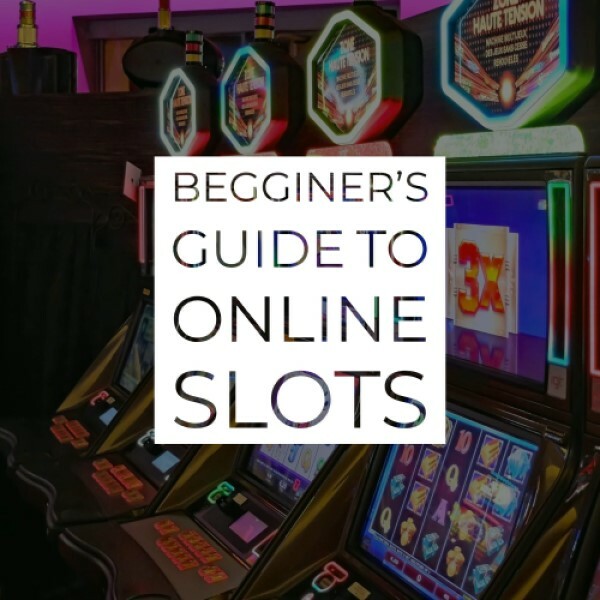 Well, it’s pretty easy and straightforward; all you need to do is click the “Auto Play” button and select the number of times you want the slot game reels to spin, as well as the denomination for those spins. You can get up from the computer, make yourself a nice cup of tea or do absolutely anything while the game spins the reels for you! It’s the same for mobile slots, you can play on the go while keeping an eye on the slot. Forget about hitting the spin button every three seconds – this is the direction where slot games are going! The Auto Play button is usually positioned at the bottom of every online slot machine. Just below the reels, you can see the options that the slot game offers. The Spin button is usually the largest and you simply can’t miss it. The Auto Play button is usually located right next to the spin button. Once you hit the Auto Play button, you will have to set the denomination (it’s the same denomination offered by the game that you would have to choose if you spin the reels manually), as well as the number of spins. In almost all of the games, the number of spins that are here as an option are the same: 5, 10, 20, 50 or 100 Spins. Keep an eye on your stake, as you might run out of money before you run out of auto spins, but let’s hope that doesn’t happen to you. Why is Auto Play Useful? There are several benefits of the Auto Play feature, and we mentioned one just above, that you can completely forget about the slot game and let the game spin the reels on itself while you do totally different things. Here are few more reasons why the Auto Play feature is one of the best features in the online slot gaming. Some of the players simply don’t like to just keep hitting the spin button. If you are playing with a lot of money and pursuing a progressive jackpot, this can really be a pain. Almost all of the games that you play online, with flash player, will allow you to spin the reels using the space bar, but that only facilitates the job by so little, you won’t even notice. The Auto Play completely takes the control over the spins. Using Auto Play can be the key to you, not overspending, and it’s one of the features where you can control your money. For example, if you have £20 to play with, you can set the Auto Play feature to 10 spins with £2 or 100 spins with £0.20, without risking of increasing the denomination mid game. This one goes to all the hard-core gambles and adrenalin rushers out there. With the Auto Play feature, you can play more than one slot at the same time. Just set the denomination and number of auto spins or every slot, and give your index finger a rest while the slots fill in your stakes. If you do this, keep a close eye on the slots, and don’t forget to cancel the feature if you feel you aren’t doing well. When testing a new slot, you would want to avoid those unwanted videos and entertainment parts that are being presented by the slots company. The Auto Play feature will go straight to spinning the reels and you can immediately whether you want the game or not. Just like everything in life, you can’t just rush into something even if all of the comments about that thing are positive. It’s the same with the Auto Play feature – you can’t just hit Auto Play, forget about the game and expect to have a positive impact when you return to the PC. Auto Play spins the reels with the denomination you have previously set the feature to play with, and it will always use the same bet. Why is this a problem? If you are planning on changing the coin size or denomination about it, if you’ve played with Bet Max, got a strong, big win and now want to reduce the size of the coin or want to step up the game and play more aggressively, the Auto Play is not the best solution here. This has nothing to do with the money or your chances of winning, but it has to do with the drama that happens every time you play slots and hit the Spin button. One of the reasons we play the slots is the anticipation that grows and hits the sky inside us once we hit the Spin button. We are excited, dramatic and enthusiastic, expecting a big win from the reels, and this feeling that the online slot machines are giving will not be present if you hit the Auto Play button. Auto Play – Yes or No? At the end of the day, it all depends on the person playing the slot game. The best games where you can check the Auto Play features are Starburst and Double Bubble. The Auto Play feature usually skips a lot of the graphics and special features that are showing on the skill, so if you have a Fear of Missing Out, this slot is not for you, as all the atmosphere, enjoyment and entertainment will be missed. On the other hand, if you want to be more functional, more efficient, and not lose time on your way making money, you should use this feature, as it will skip the unnecessary videos inside the game itself, and you can push for more spins in a certain amount of time. The best thing is that you can always cancel the feature, even if you are one Auto Spin in, or you have one left. This can be done by hitting the “Cancel Auto Spin” button, which will usually have more intensity than usual, and more than the other buttons below the reels. To wrap it up as we started, the best way to use the Auto Play feature is to find a balance between using it and not using it, same with everything in life. There are certain situations where you can neglect it, and situations where you should go for it. It is up to you to choose which way you want to reach the lucrative wins and treasures decanted into real money in the online slot machine world.